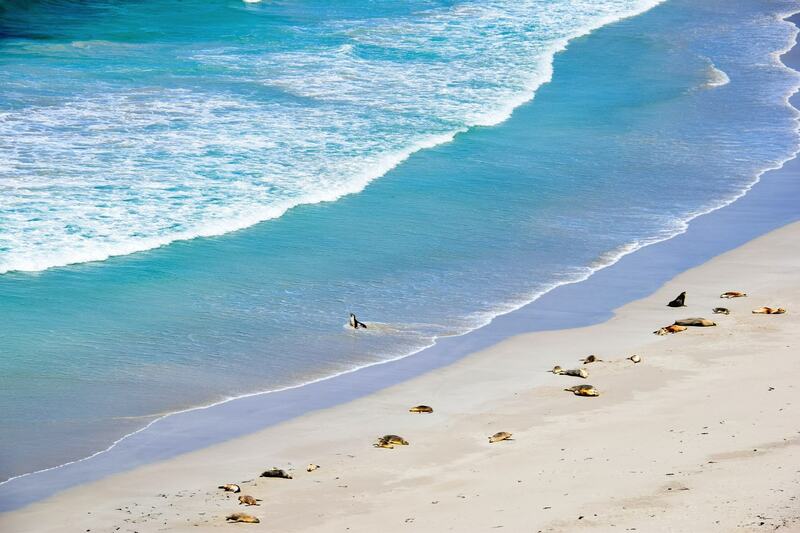 Kangaroo Island is place of diversity, with sweeping sand dunes, bushy national parks, dry mountain ranges and an absolute abundance of wildlife. But one of the biggest draws to the island, is the beautiful white sand beaches. Scattered all along the coastline of the island, these beautiful remote beaches are the perfect place to relax, unplug and have a complete recharge. Both times we’ve visited Kangaroo Island it’s been during their peak period, between Christmas and New Years. Despite the fact that the island’s accommodation is almost completely booked out, ferries have been reserved months in advance and the difficulty you might encounter trying to make a dinner reservation, if you get out of the main towns of Kingscote and Penneshaw everywhere actually feels incredibly remote. From the roads to the beaches, everywhere is very quiet. When you arrive at the beach there are only a few other cars parked in the parking spots, and even fewer people actually sitting on the shore. It’s so lovely, completely peaceful without the huge crowds that you find on Australia’s East Coast and popular beaches. 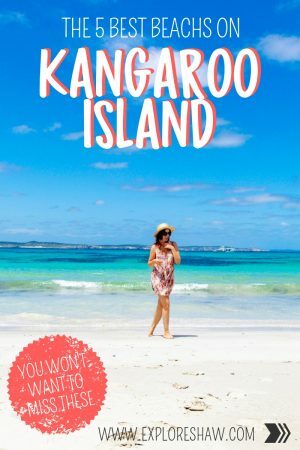 To make sure you don’t miss out on any of the best spots, here are the beaches you absolutely can’t miss on your visit to Kangaroo Island. 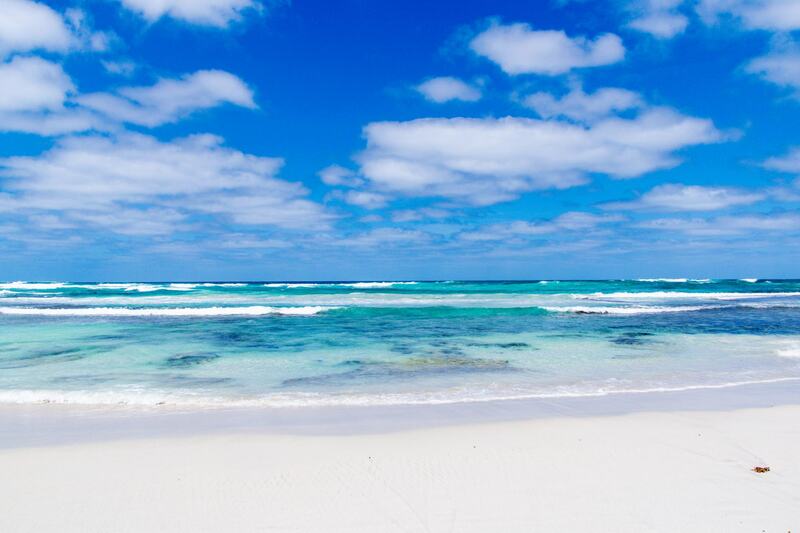 Our favourite beach on Kangaroo Island, is also one of our favourite beaches from around the world. Vivonne Bay will take your breath away. As you drive down the red sand road, up over the hill, you are greeted with the most beautiful views over the water that you can find on the whole island. The water is bright turquoise and as clear as you can imagine, surrounded by protective sandy cliffs keeping the wind and weather away. Both times we have visited Vivonne Bay there have only been a couple of other groups there – really it felt like no one at all. We found a shady spot to park our cars and had a quick BBQ on the shore before heading into the water for a dip. There’s a small jetty at Vivonne Bay, surrounded by coral and some of the best snorkelling you can find on the island. The end of the jetty is normally deep enough to jump off, and also offers you a wonderful view over the rest of the bay. It’s such a beautiful spot, it will definitely have you questioning if you ever have to go home. 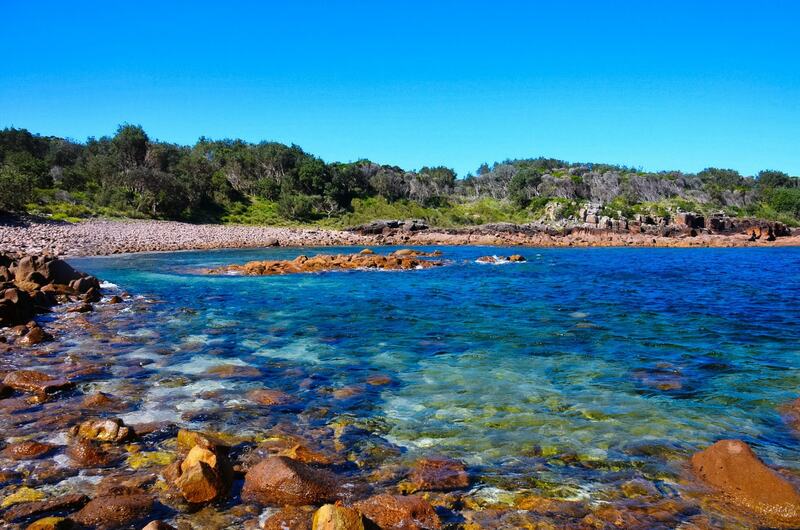 The Vivonne Bay Campground might just be the most beautiful campground to stay on the island. It’s only a short walk from the beach, so you can be taking a morning dip in the azure water in only a couple of minutes. Sites at the campground are assigned on a first come, first serve basis and can’t be reserved. 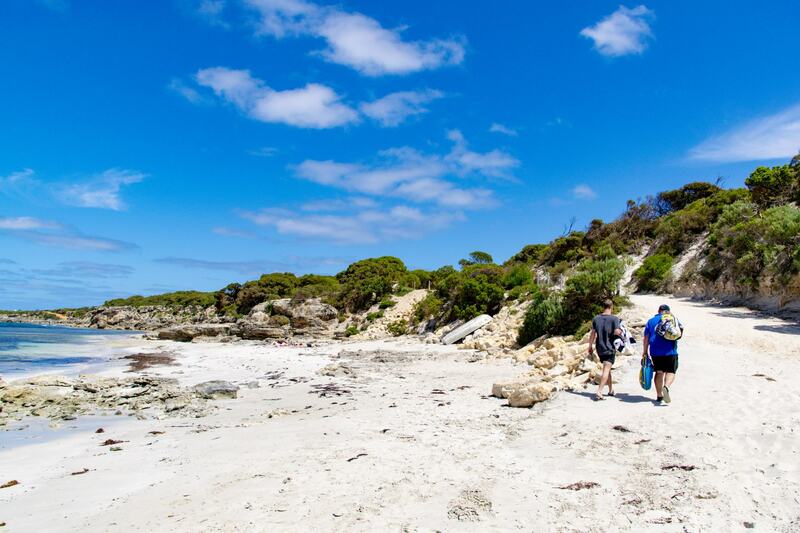 You can find out more about camping on Kangaroo Island here. 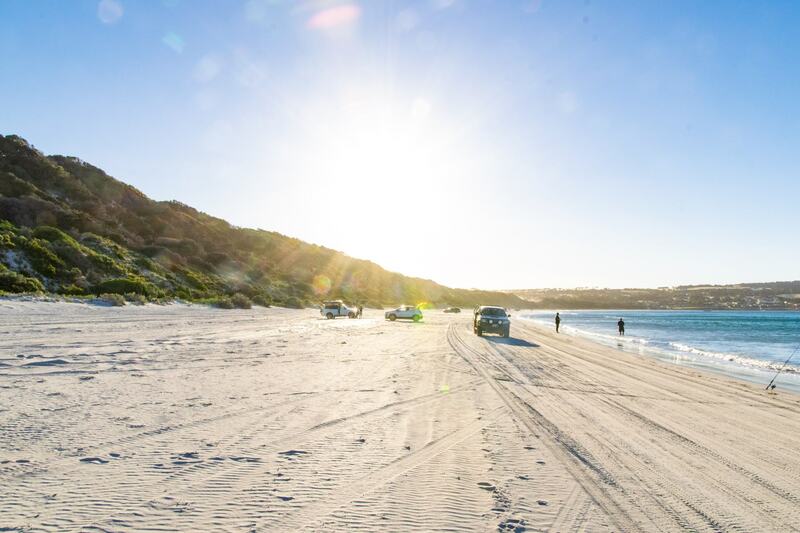 The closest beach to the town of Kingscote, Emu Bay is both popular with the tourists and locals, and also surprisingly quiet at the same time. This is the beach on KI you want to head to if you’re interested in beach driving, where you can take your car on the sand and drive right along the water side. The beach is long, stretching for quite a while down the shore, so there’s plenty of room to spread out and find yourself away from everyone else. At the end of the beach there is a rocky wall, that protects a couple of smaller bays. There’s no driving in these bays, unless people are brave enough to take their cars into the water to get around the rocks! Emu Bay is a great place for a beach picnic and a fire on the beach when the sun starts to set. 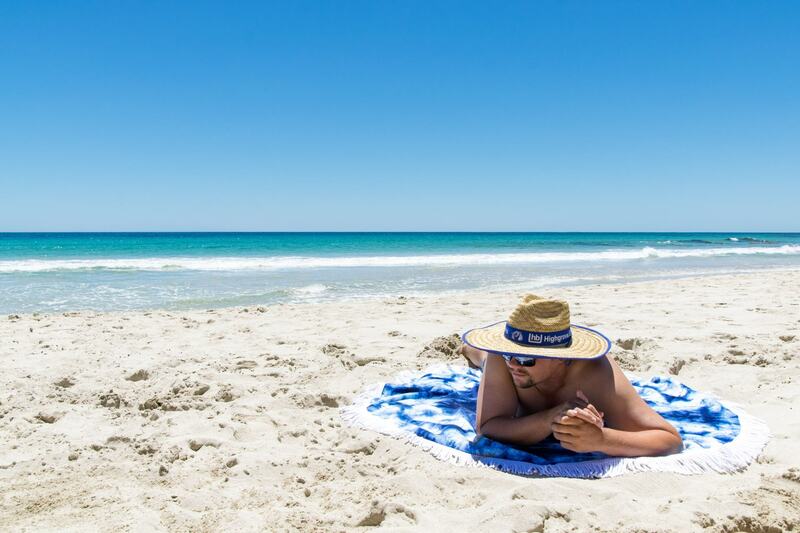 Remember to bring something to provide you with some shade though, like an umbrella, beach hut or awning on your car, because there is no shade and the Aussie sun can be particularly harsh. 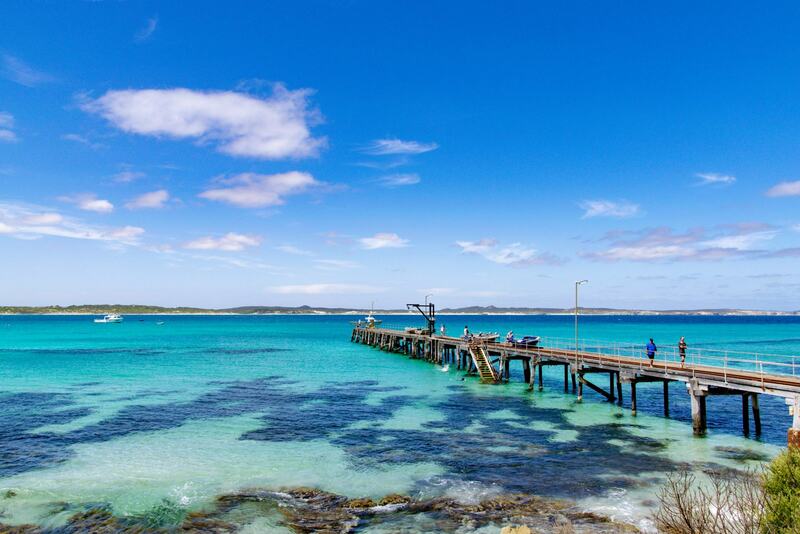 There’s a small jetty at the end of the beach where you can often find pelicans hanging out, as well as Kangaroo Island’s little colony of fairy penguins. There’s not a lot around Emu Bay, in fact the town itself has no shops at all. Nope, not even a corner store. When you head down the road that provides beach access for cars, there is a little food cart called Mini De Lights, that is kind of a pop up kitchen and bar. It serves hot and cold snacks, cocktails, local wines and beers and of course coffee, and is the only place around the beach to head if you want to grab a drink or a snack. 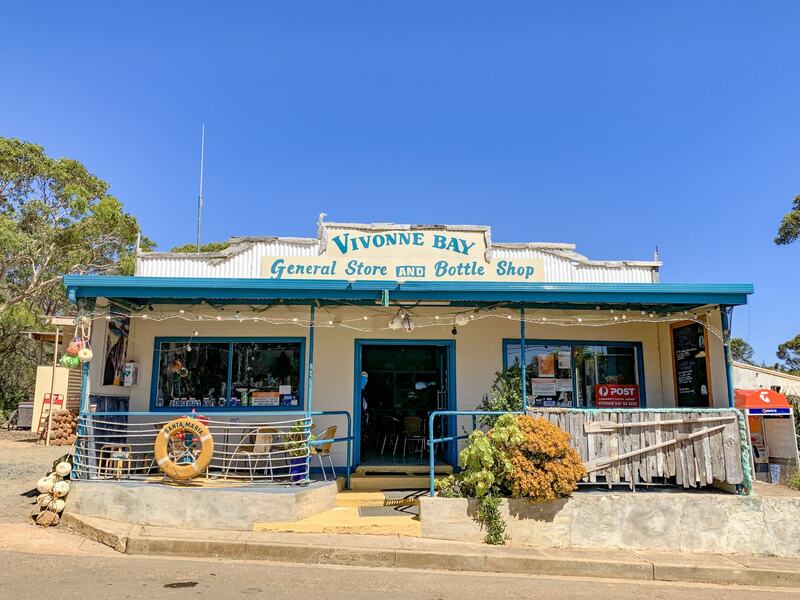 Apart from that, the only other place in the region is the Emu Bay Lavender Farm, which you will see on your way down to the beach. 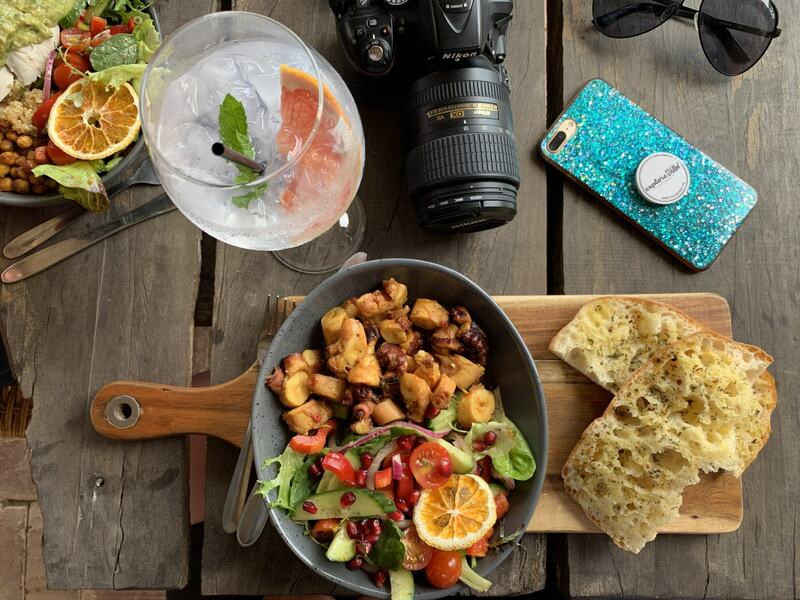 The lavender farm has a cafe on site, serving delicious snacks and lunch meals all year round. While you’re here, make sure you also take a walk around the lavender and definitely check out their gift shop, where you can purchase a wide variety of lavender products. If you don’t know what to choose, try out the lavender sleep balm. I absolutely swear by it, it’s one of my favourite products. 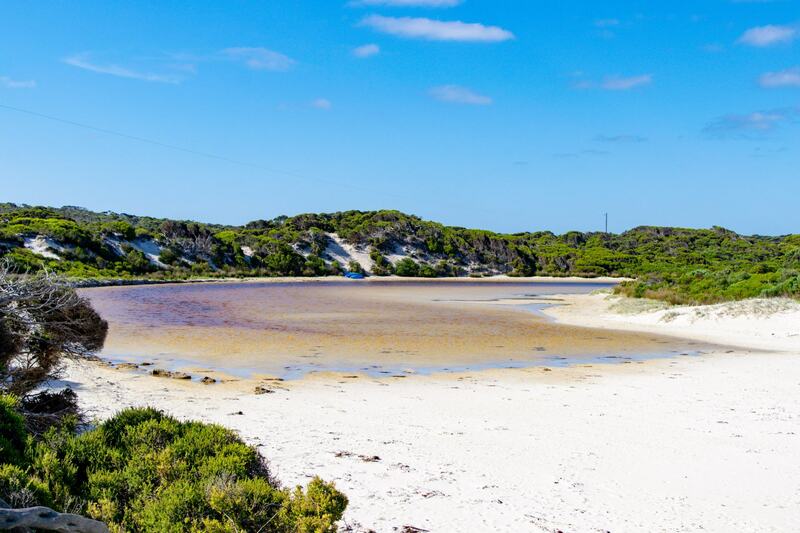 The Emu Bay Campground is a bit removed from the actual beach, and can be found along Emu Bay Road, about 10 minutes from the main beachfront. Sites are given out on a first come first serve basis and fees can be paid at the campground. 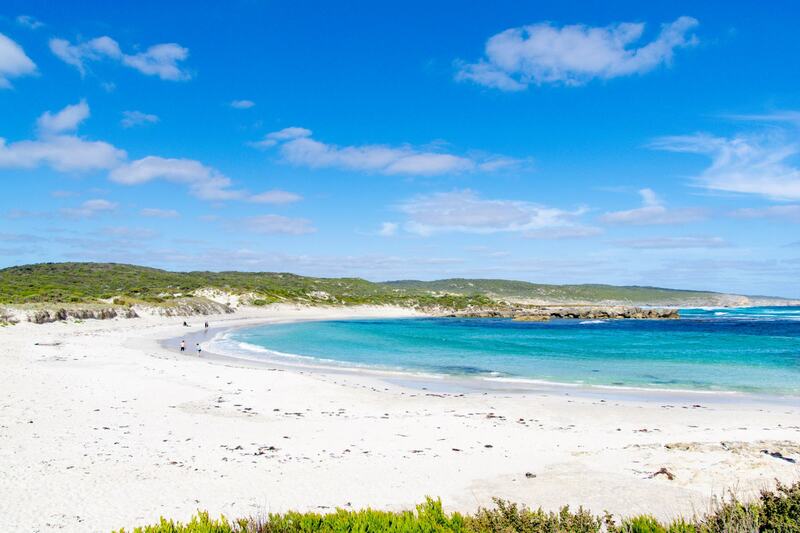 Maybe the busiest beach on Kangaroo Island, Stokes Bay is also the most exciting to get to. From the car park it just looks like a rocky little bay, but if you follow the beach signs they will take you down a windy path, through the cliff face and the towering rocks, and out to a sheltered little beach on the other side. There’s a lovely calm rock pool that it a hit with the kids right on the shore, protected by a rocky wall and the whole beach looks like something that you would expect to find in Mediterranean Europe. 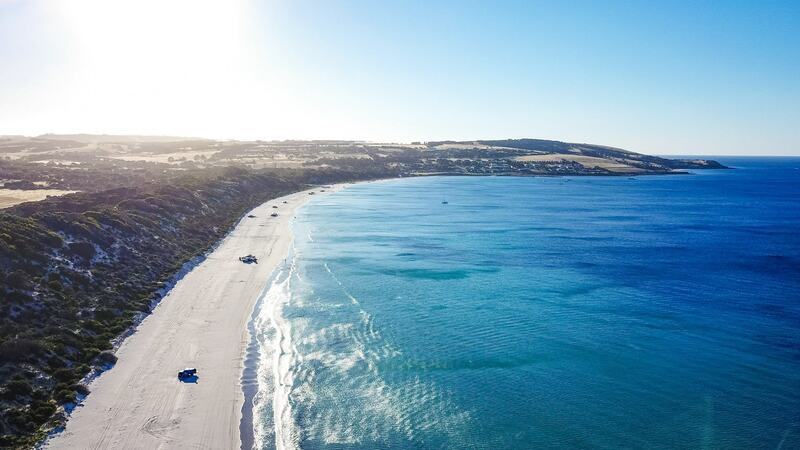 It’s one of the most popular beaches on Kangaroo Island, so expect a bit of a busier scene, with lots of people swimming, sunbaking and walking along the beach. Stokes Bay is a dog-friendly beach, so you can take your fur babies down to the beach with you. Just make sure they are under your control and on a leash at all times, you don’t want them running off to play with other dogs or chasing seagulls down the beach! There’s a great cafe at Stokes Bay called the Rockpool Cafe, serving lunch, drinks and light snacks. They have some of the freshest seafood options, with fish specials each day, as well as a delicious calamari dish that we can highly recommend. The cafe is all open, very cutely decorated and the perfect place for a lunch break after a morning of swimming and exploring. The Rockpool Cafe also look after the Stokes Bay Campground which can be found just behind the cafe. The campground is nothing special, but there are some shady sites and toilets on site, and it’s in the ideal location if you want to base yourself near Stokes Bay. 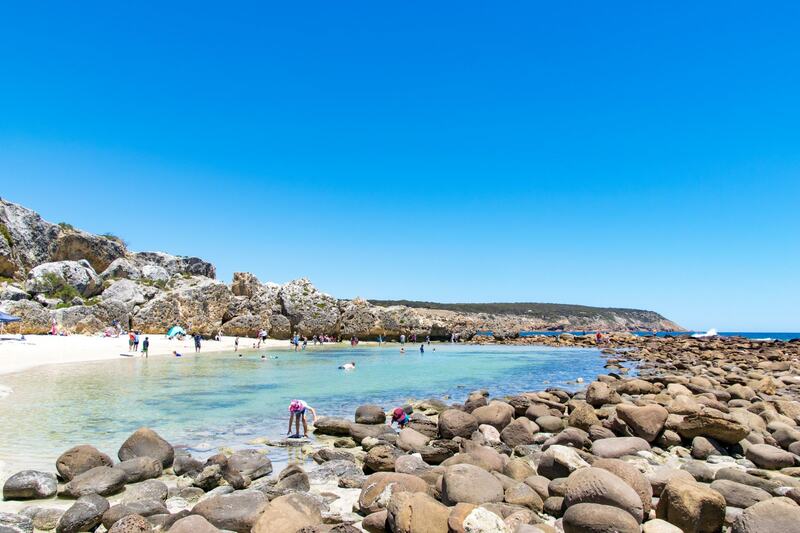 One of the lesser known beaches around Kangaroo Island, Hanson Bay is one of our favourites for that very reason. Depending on what time of the day you visit, you can sometimes find this little spot completely deserted and all to yourself. 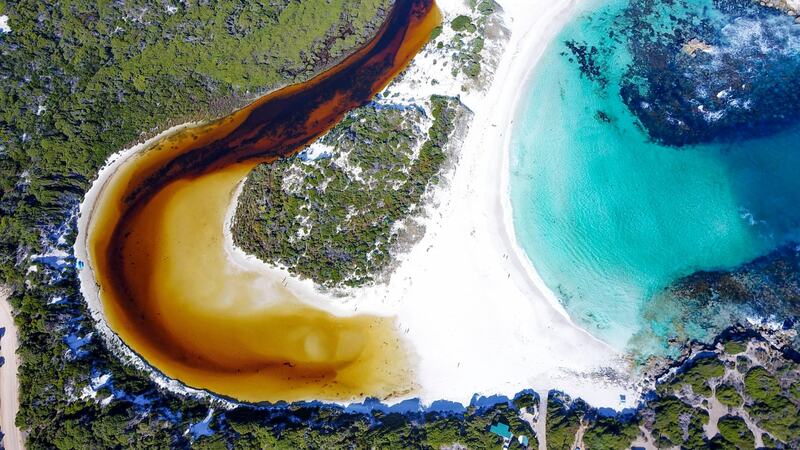 The water in Hanson Bay is some of the clearest and prettiest we found on KI, and it completely contrasted by a pinky-yellow river on the other side of the bank that looks equally as pretty. The bay is surrounded by rocks and it feels like it is protected from the elements. There’s not very much around in this area of KI. Coupled with the fact that it’s almost the furthest point on the island from the main towns, it’s not hard to see why you can sometimes get this little spot all to yourself. 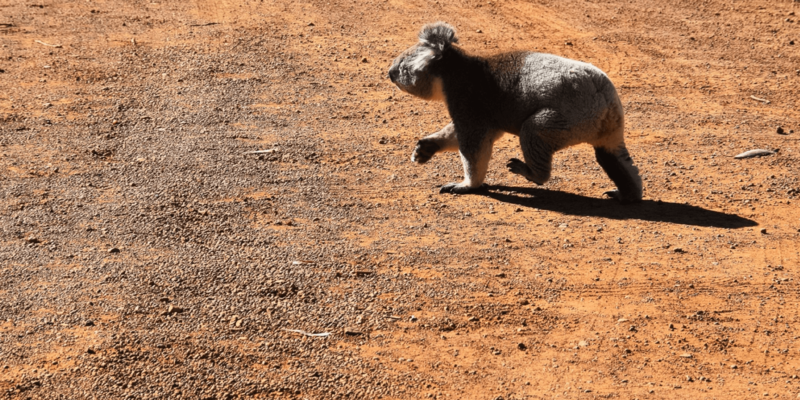 Back on the main road is the Hanson Bay Wildlife Sanctuary, home to the island’s colony of koalas, as well as kangaroos, wallabies, echidnas and goannas. 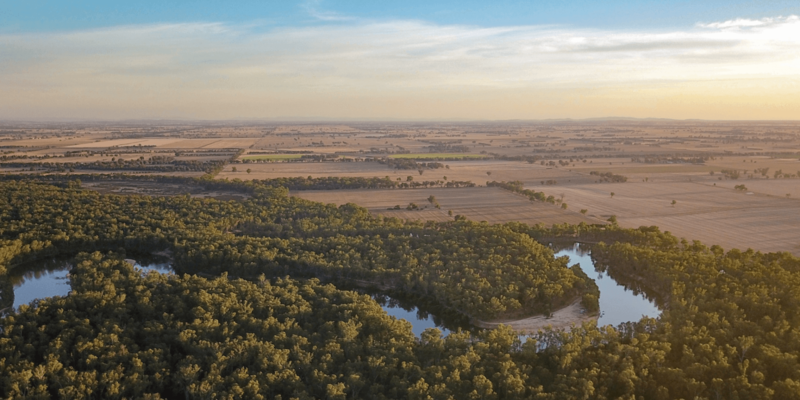 It’s the best place on KI to see wild koalas in the trees and is a great place to check out. There’s a small gift shop and cafe at the sanctuary, which is really the only shop in the region. 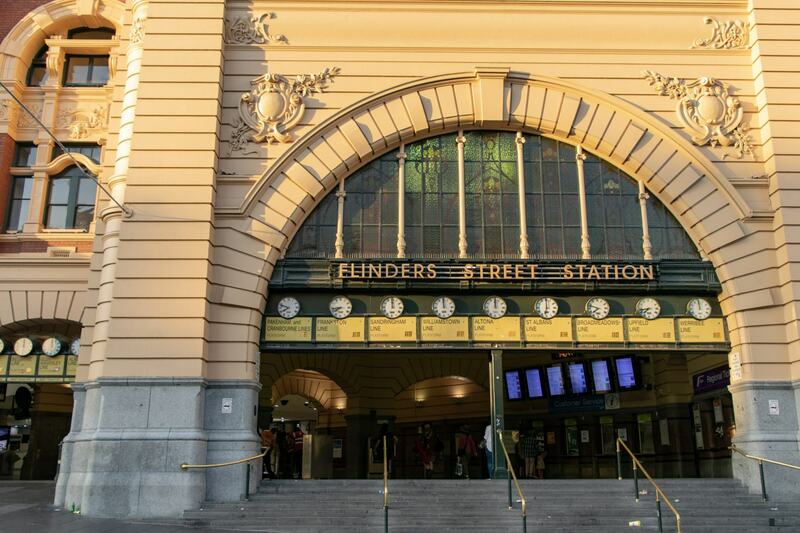 Here you can find light meals and snacks, drinks, souvenirs and gifts, as well as general information about Hanson Bay and Kangaroo Island. 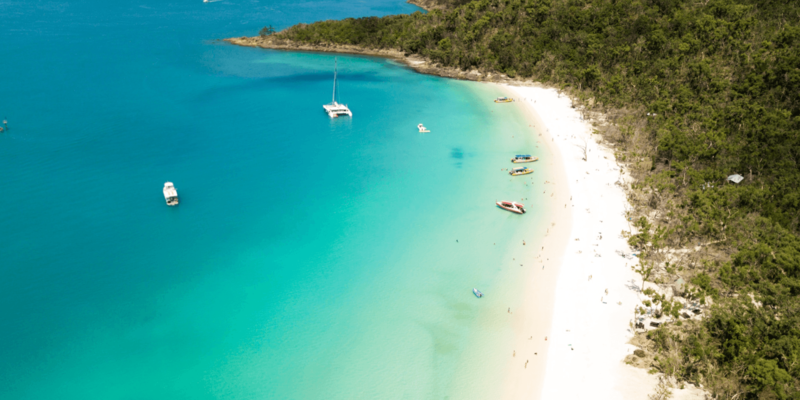 The wildlife sanctuary also owns the Hanson Bay Beachfront Cabins which are a lovely place to stay if you want to spend a little bit longer in the region. These self-contained holiday cabins all over look the water, are right on the beach and are the perfect place for a relaxing stay. This might just be the quietest beach we checked out, but when we arrived at Bales Beach there were no other cars in the car park, and by the time we had left we had seen just one other couple from Germany. Bales Beach Aquatic Reserve is a long stretch of beach, protected by sandy cliffs that follow the water the whole way along. It is part of a conservation area, protecting the marine life in the water just off the coast. 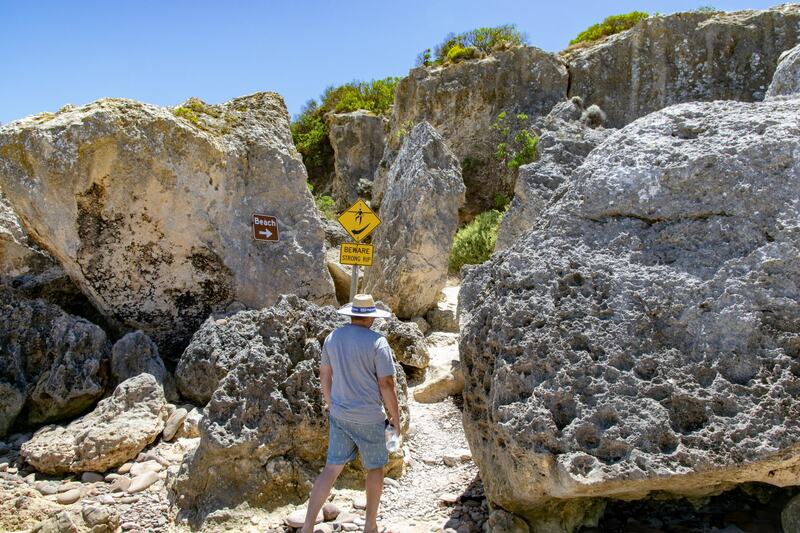 There are a few different walks you can take along the sandy cliffs of the beach, where you can find rare birds and interested flora and fauna. Due to the protected nature of the area, this is one of the only beaches on the island that is a no-dog zone. There’s a day visiting area at the beach as well, a little before the main beach car park, where you can find picnic tables, toilets and BBQ facilities if you wanted to really make a day of your visit here. Bales Beach is just around the corner from Seal Bay, although you won’t see any seals at Bales, they much prefer their cushy protected life over at Seal Bay. If you visit Seal Bay you can get up close and personal with Australia’s largest colony of wild sea lions, with the local guides taking you right down to the beach where the seals live and play. 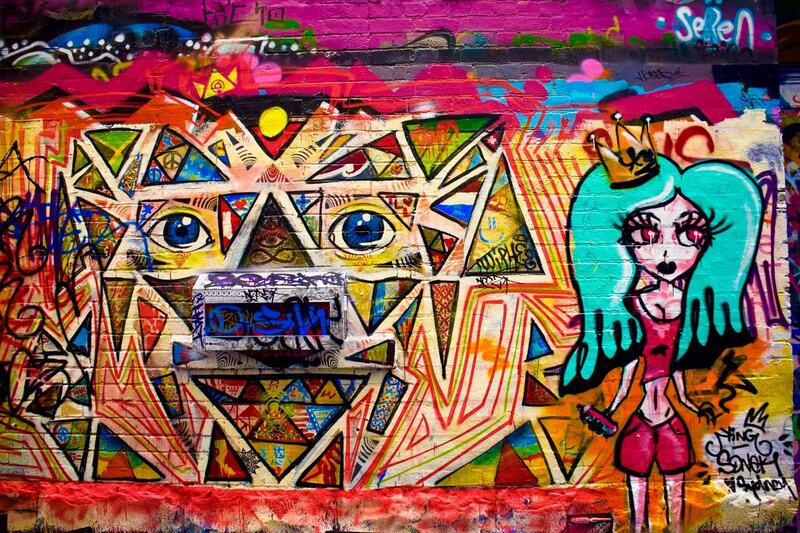 It’s a great place to check out if you’ve never been here before. 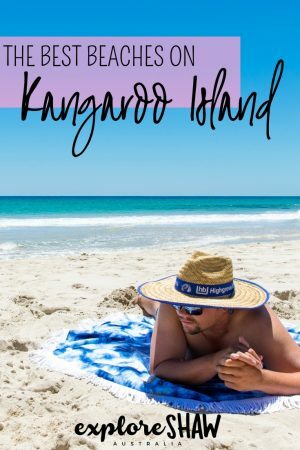 So there you have it, our complete list of our favourite beaches around Kangaroo Island, that will have us coming back again and again, every time we visit the island. 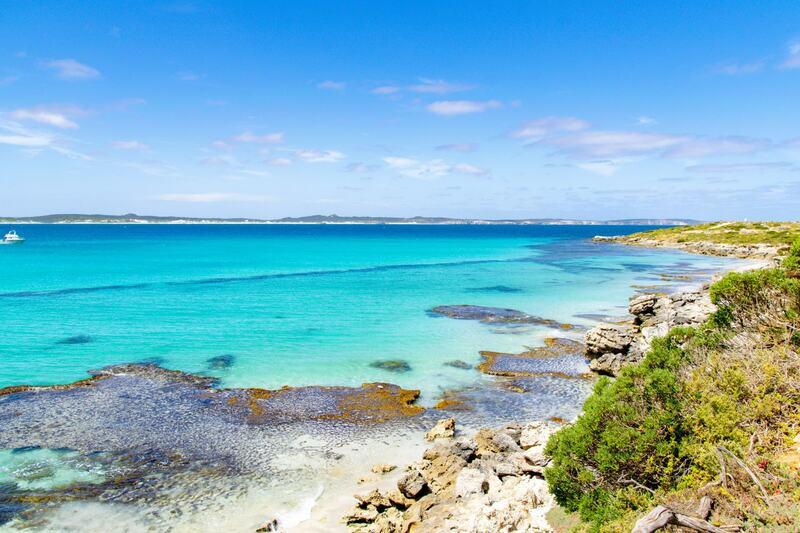 If you want even more beach days during your stay on Kangaroo Island, a few more popular beaches includes Snellings Beach, Western River Cove, Antechamber Bay and Penneshaw Beach. 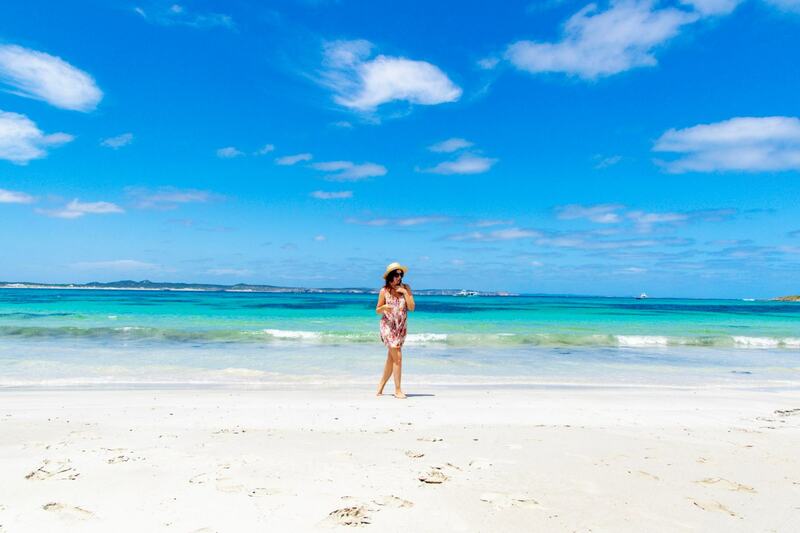 What’s your favourite beach on Kangaroo Island?